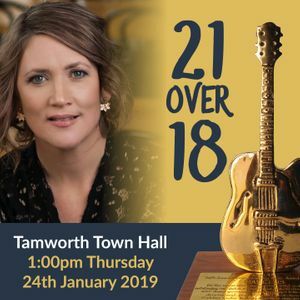 Sara's only Tamworth performance celebrating 21 Golden Guitars over 18 Years with special surprise guests. Sara is back with a specially themed show for her only concert during the Tamworth Country Music Festival. Having won an amazing 21 Golden Guitars over 18 years, this special performance will feature many of those award-winning songs as well as some recent hits and a preview of tracks from her upcoming album.